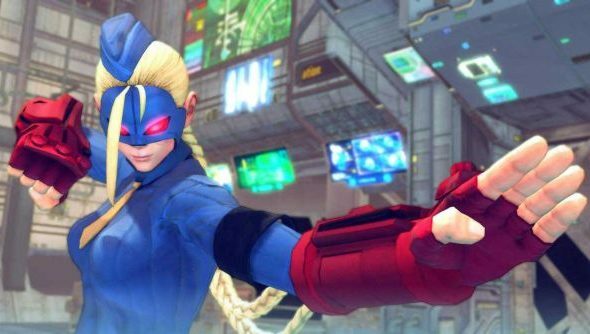 An update to Ultra Street Fighter IV will see the culmination of a two month long collaboration with the games community to stamp down on netcode issues. Patch 1.03 will include fixes to how Endless Battle lobbies work in order to reduce the amount of network pings, and hopefully lag. As well as the netcode band-aid, there’s some new training options as well as balance updates to most of the fighters. Change in Endless Battle – Users will not be able to join the game if the host is currently in a fight. Only once the fight ends and both the host and guest are returned to the lobby can they receive requests for other matches. This will prevent users from pinging the host during their matches. The number of open connections the user can upkeep after canceling his game search has been reduced; thereby reducing the number of players pinged. The acceptable input delay limit has been increased from 15 frames to 35 frames, so now even with terrible latency issues, users should experience what feels like an input delay instead of lag or random disconnects. In addition to the netcode fixes, the training mode has seen a revision. You can now set behaviour of the CPU sparring partner in relation to their “delayed standing” setting. There’s also a huge adjustment and revision to the majority of fighters and their attacks. You check out the full list of characters affected here. Patch 1.03 is due out today across all platforms, with the PC version hitting at 08:00 PST.